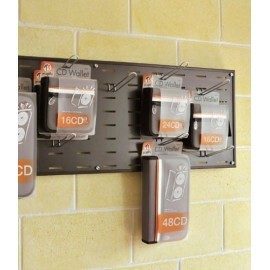 Gli wall displays for products are used in showroom, in cards & stationery and many other types of shops. 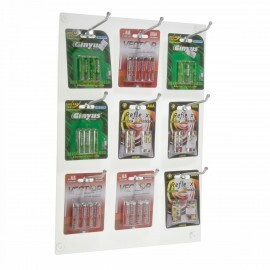 Wall displays very useful in contexts such as tobacco shops and the stationery shops are the holder, portacartoline and ticket wallet greeting cards from wall, available for materials of different sizes and with a variable number of pockets, depending on your needs. 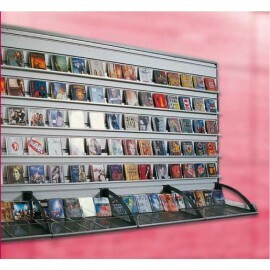 The slatwall in Anodized aluminiumwith perimeter frame and wall fixing platesthey are particularly suitable for exposure of CDs and DVDs. Among the exhibitors from Wall offered by Displayshop include shelves applicable wall, practical and easy to assemble, that lend themselves to different uses, and flexible display systems useful for both shops which exhibits. 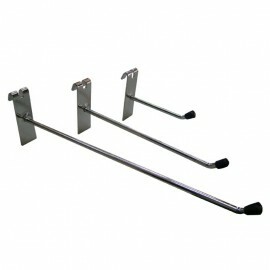 Description: Is a long hook 20 cm, can be used on Troll blister – holder exhibitors. Made of galvanized wire. On request also by 10 or 30 cm. 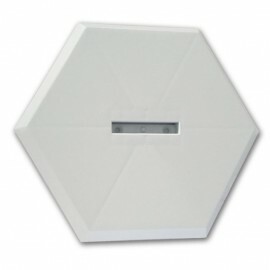 Dimensions: 20 cm For more information, call 049.8710777 o compila il modulo sottostante. Description: Wall rack for blister pack of batteries, games etc in transparent Plexiglas in 9 locations, ideal for tobacconists, bars etc. Functional, not bulky and easy to place. Number 9 cmSpessore 10 3 mm length, hooks included. 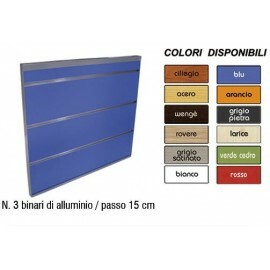 Dimensions: 32x45h cm For more information, call 049.8710777 o compila il modulo sottostante. 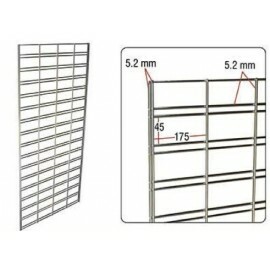 Description: Is a grid made of wire, wall size 60x180h cm. The special design of the slits allow insertion of the main accessories for slatwall. Fixing to the wall with 4 mounting brackets included. 60x120h cm format is available upon request. 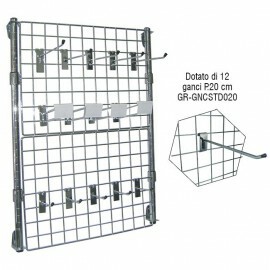 EXTERNAL DIMENSIONS: 60x180h cm For more information, call 049.8710777 o compila il modulo sottostante. 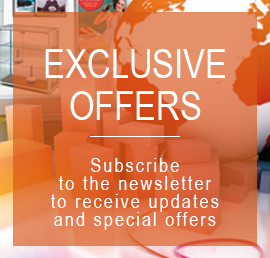 Description: Is a nice support for shelves, spherical. 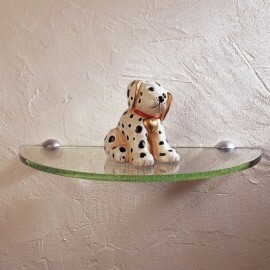 Thanks to Point you can fit in any place or situation up to 10 mm thick glass shelves. Made of chrome-plated metal material. Diameter 4 cm. EXTERNAL DIMENSIONS: 4x2h cm For more information, call 049.8710777 o compila il modulo sottostante. 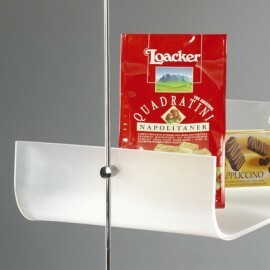 Description: Is an elegant display with shelves, wall. 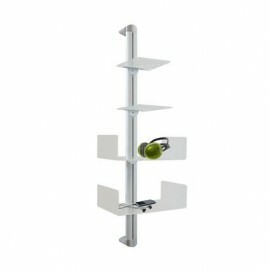 Consists of a moulded rail in anodised aluminium, 107 cm high, and 3 satin acrylic shelves, U-shaped. The measure cm 36x20x10h and shelves are adjustable in height. EXTERNAL DIMENSIONS: 36x20x107h cm For more information, call 049.8710777 o compila il modulo sottostante. Description: Elegant anodised aluminium for slatwall store perimeter frame and wall fixing plates. Each stave is about 13 cm. Can be made to measure (at least 60 anyway). The planks you can apply a wide range of accessories: shelf brackets, hooks, shelves, pans ... For more information, call 049.8710777 o compila il modulo sottostante.